Entrapment of the suprascapular nerve in the spinoglenoid notch is a significant cause of posterior shoulder pain and infraspinatus wasting and an appreciation of the anatomy allows for appropriate imaging and treatment of the entrapment neuropathy. 20 College Road, Academia, Level 4, Singapore, 169865. Introduction: Entrapment of the suprascapular nerve is an uncommon but important differential in patients who present with posterior shoulder pain. Frequently misdiagnosed as rotator cuff or cervical disc disease, this increasingly recognized entity can result from traction-related or compression-related etiology. Two sites of compression include the suprascapular and spinoglenoid notches with the latter less commonly encountered. 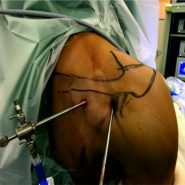 Case Report: In our study, we describe a case of arthroscopic decompression of suprascapular nerve entrapment at the spinoglenoid notch due to hypertrophied spinoglenoid ligament using an improvised arthroscopic technique. Conclusion: Spinoglenoid notch compression of the suprascapular nerve is an important cause of posterior shoulder pain with infraspinatus wasting. A clear understanding of the nerve anatomy and the common site of compression allow for accurate diagnosis. The modified arthroscopic technique described is easily reproducible and provides good visualization of the anatomy, allowing adequate and safe decompression of the suprascapular nerve. Keywords: Suprascapular nerve, Spinoglenoid, Arthroscopic, Decompression, Entrapment. Entrapment of the suprascapular nerve is an uncommon but important differential in patients who present with posterior shoulder pain. Frequently misdiagnosed as rotator cuff or cervical disc disease, this increasingly recognized entity can result from traction-related or compression-related etiology. Distinguishing between the two groups of etiology is imperative as traction-related neuropathies are often amenable to conservative management, while compression-related neuropathies require surgical decompression for the relief of symptoms. The suprascapular nerve arises from the upper trunk of the brachial plexus (C5 and C6) with variable contribution from the C4 nerve root. From the brachial plexus, it approaches the suprascapular notch, coursing under the transverse scapular ligament before traveling laterally along the supraspinatus fossa. Continuing its course toward the posterior glenoid, it subsequently loops around the scapular spine to enter the spinoglenoid fossa under the spinoglenoid ligament before giving off branches to the infraspinatus muscle. Two sites of compression include the suprascapular and spinoglenoid notches with the latter less commonly encountered. Various mechanisms have been proposed for the entrapment of the suprascapular nerve in the spinoglenoid notch. In particular for overhead athletes such as volleyball players, the mechanism of compression is often thought of as a result of repetitive traction with tightening of the spinoglenoid ligament when in a position for overhead spiking, creating an increase in pressure on the nerve [1, 2, 3]. Furthermore, a stenotic notch, hypertrophied or ossified spinoglenoid ligament, or superiorly oriented subscapularis fibers may further exacerbate the neuropathy. 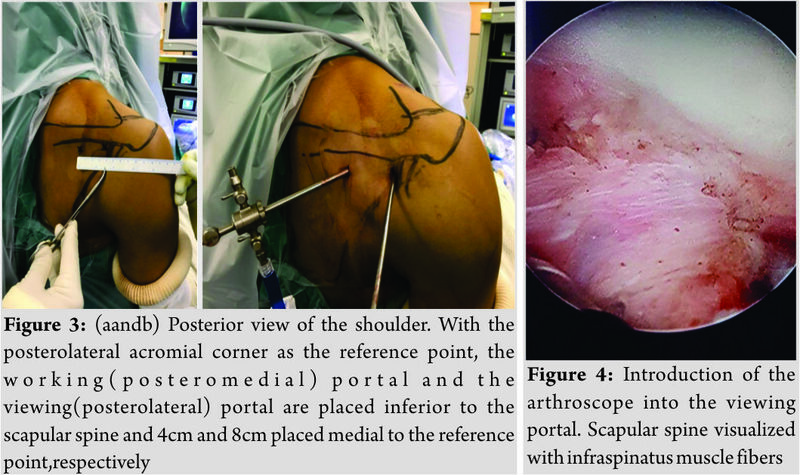 In our study, we describe a case of arthroscopic decompression of suprascapular nerve entrapment at the spinoglenoid notch due to hypertrophied spinoglenoid ligament using an improvised arthroscopic technique. A 19-year-old male high-level national volleyball player was referred to our tertiary center with right posterior shoulder pain and muscle wasting of 6-month duration. This dull aching pain was localized to the infraspinatus region with no associated upper extremity weakness. These symptoms did not affect his performance level in his sport. He did not recall any preceding episodes of shoulder trauma. Physical examination revealed a full passive range of shoulder motion. Severe infraspinatus atrophy was present with significant weakness in external rotation (Fig. 1). Active movements showed the strength of external rotation to be Grade 4 based on the Medical Research Council grading. Cross arm adduction and O’Brien tests were negative. No loss of reflexes or sensation was detected in the right upper limb. Hornblower’s sign and external rotation lag were both absent. Right shoulder radiographs did not show any bony abnormalities. Needle electromyography of the right infraspinatus muscle showed abundant positive sharp waves and fibrillation while electromyography was normal for the right supraspinatus. These findings were consistent with severe denervation of the suprascapular nerve at the level of the spinoglenoid notch. In addition, a nerve conduction study revealed an abnormal morphology of the right infraspinatus motor compound motor action potentialamplitude, further confirming the presence of an underlying right infraspinatus neuropathy. Magnetic resonance imaging of the right shoulder demonstrated the increased signal intensity of the entire right infraspinatus with reduced muscle bulk. No mass lesions were found in spinoglenoid or suprascapular notches (Fig. 2). After a period of conservative treatment comprising anti-inflammatory and analgesic medications, activity modification, and physiotherapy specifically targeted at the rotator cuff and periscapular muscles, the patient underwent arthroscopic decompression of the suprascapular nerve at the spinoglenoid notch. Decompression of the suprascapular nerve at the spinoglenoid notch was performed using a modification of arthroscopic technique described by Plancher et al. [1, 2]. Advantages of this technique include a better visualization of the shoulder anatomy with a shorter duration to return to sporting activity and activities of daily living. Under general anesthesia, the patient was placed in beach-chair position with the affected arm placed by the side. Care was taken to drape a surgical field extending from the mid-sternum to the medial edge of the scapula, allowing for the surface marking of the scapular spine (Fig. 2a) and accurate placement of the portals (Fig. 2b). Using the posterolateral corner of the acromion as reference, the working portal was placed 8cm medial while the viewing portal was placed 4cm medial, both portals inferior to the level of the scapular spine. A blunt trocar was first introduced into the viewing portal and directed toward the infraspinatus fossa. On bony contact with scapular spine, we walked the blunt trocar inferiorly onto the superior edge of the infraspinatus fossa, gently sweeping away tissue from the infraspinatus fossa. Imperative to this step was to stay immediately under the infraspinatus spine. Next, the arthroscope was introduced into this viewing portal to allow visualization of the various landmarks (Fig. 3). The blunt trocar was next introduced into the working portal, and tissue was teased off the infraspinatus fossa from immediately under the scapular spine, directed toward the viewing portal(Fig. 4). On reaching the spinoglenoid notch, the spinoglenoid ligament was identified and a radio frequency wand was used to clear the tissue away from the spinoglenoid ligament (Fig. 5). The hypertrophied spinoglenoid ligament was resected by staying on the spine of the scapular spine. To aid this maneuver, the introduction of the blunt trocar through the same working portal to retract tissue in the infraspinatus fossa is particularly useful to achieve a clear visualization of the spinoglenoid notch and its contents (Fig. 6). The spinoglenoid ligament was completely resected to decompress the nerve. On adequate decompression, the released suprascapular nerve with its accompanying artery was seen to wrap around the notch as it heads medially to give off its muscular branches to the infraspinatus (Fig. 7). Routine glenohumeral arthroscopy was performed there after. There was no superior labrum anterior posterior lesion found during arthroscopy. Skin closure was performed once the arthroscopic equipment was removed. Postoperatively, the patient was placed in an arm sling for comfort. He was allowed to resume full activities. The patient was followed up for 3 months and found to have a complete resolution of pain symptoms. Active movements showed the strength of external rotation improving to Grade 5 based on the Medical Research Council grading. A detailed understanding of the anatomy of the spinoglenoid notch and the course of the suprascapular nerve is a key to achieve aadequate arthroscopic decompression. The spinoglenoid notch is found between 1.8cm and 2.1cm medial to the glenoid rim . On coursing through the spinoglenoid notch, the suprascapular nerve goes on to give muscular branches to the infraspinatus muscle, thereby explaining isolated infraspinatus atrophy in patients with compression at the spinoglenoid notch. Overhead athletes, especially, those involved in repetitive overhead movements such as volleyball, baseball, and racquet sports and manual laborers who perform tasks above shoulders, are particularly susceptible to developing this condition. They often present with diffuse ache over the posterior shoulder region, associated with weakness on attempts at the external rotation. While they may not experience in a decrease in performance level, a thorough history would usually reveal posterior shoulder pain associated with classical infraspinatus atrophy on clinical examination. Atrophy may often be overlooked in these young well-developed individuals owing to the overlying trapezius and large deltoid bulk. Subtle decreases in the range of motion in external rotation may also be seen. Various techniques have been described for the successful decompression of the suprascapular nerve. Using open decompression technique, Postand Grinblat reported excellent and good results in 88% of the patients . While technically challenging with a steep learning curve, arthroscopic decompression techniques have been shown to be safe and reproducible [6, 7]. Compared to conventional open methods, arthroscopic offers the following advantages: (1) Faster rehabilitation and return to sports, (2) better visualization of the anatomy, and (3) concomitant treatment of other shoulder pathology [6, 7, 8]. Plancher et al. described an arthroscopic technique utilizing the posterior portals . The reported advantages of this technique include a clear visualization of the spinoglenoid anatomy with reduced periods to return to sports and daily activities. Good results were seen in their serieswith an average of 3-year follow-up. In the presence of compression by a cyst, it remains controversial whether cyst decompression alone is sufficient or cyst decompression in addition to a labral debridement/repair is necessary for treatment . Good results have been shown by Lichtenberg et al. 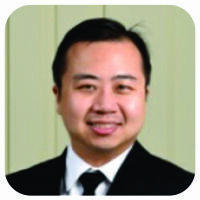 in their series of patients who underwent cyst excision in addition to labral repair . Our modification of the arthroscopic technique described by Plancher et al. is achieved with the concurrent use of a blunt trocar for retraction in the same working portal as arthroscopic instruments used for decompression. This is an easily reproducible technique that provides good visualization of the anatomy, and adequate and safe decompression of the suprascapular nerve can be performed with good outcomes. Spinoglenoid notch compression of the suprascapular nerve is an important cause of posterior shoulder pain with infraspinatus wasting. A clear understanding of the nerve anatomy and the common site of compression allow for the accurate diagnosis of the entrapment neuropathy. The modified arthroscopic technique described is easily reproducible and provides good visualization of the anatomy, allowing adequate and safe decompression of the suprascapular nerve. Entrapment of the suprascapular nerve in the spinoglenoid notch is a significant cause of posterior shoulder pain and infraspinatus wasting, especially in high-level volleyball athletes and athletes with overhead activities. Appreciation of the anatomy allows for appropriate imaging and treatment, thereby alleviating the symptoms of the entrapment neuropathy. 1. Plancher KD, Luke TA, Peterson RK, Yacoubian SV. Posterior shoulder pain: A dynamic study of the spinoglenoid ligament and treatment with arthroscopic release of the scapular tunnel. Arthroscopy 2007;23:991-8. 2. Plancher KD, Peterson RK, Johnston JC, Luke TA. The spinoglenoid ligament. Anatomy, morphology, and histological findings. J Bone Joint Surg Am 2005;87:361-5. 3. Plancher KD, Johnston JC, Peterson RK, Hawkins RJ. The dimensions of the rotator interval. J Shoulder Elbow Surg 2005;14:620-5. 4. 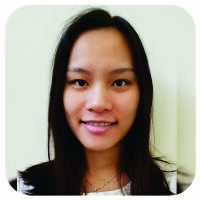 Bigliani LU, Dalsey RM, McCann PD, April EW. An anatomical study of the suprascapular nerve. Arthroscopy 1990;6:301-5. 5. Post M, Grinblat E. Suprascapular nerve entrapment: Diagnosis and results of treatment. J Shoulder Elbow Surg 1993;2:190-7. 6. Westerheide KJ, Dopirak RM, Karzel RP, Snyder SJ. Suprascapular nerve palsy secondary to spinoglenoid cysts: Results of arthroscopic treatment. Arthroscopy 2006;22:721-7. 7. Youm T, Matthews PV, El Attrache NS. Treatment of patients with spinoglenoid cysts associated with superior labral tears without cyst aspiration, debridement, or excision. Arthroscopy 2006;22:548-52. 8. Lichtenberg S, Magosch P, Habermeyer P. Compression of the suprascapular nerve by a ganglion cyst of the spinoglenoid notch: The arthroscopic solution. Knee Surg Sports TraumatolArthrosc 2004;12:72-9. 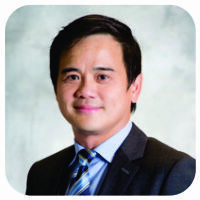 How to Cite This Article: Ming T S, Min L D, Andrew T H C. Unusual Case of a Volleyball Athlete Presenting with Posterior Shoulder Pain and Infraspinatus Muscle Wasting. 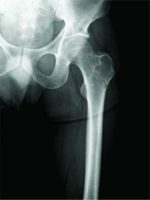 Journal of Orthopaedic Case Reports 2018 Sep-Oct; 8(5): 11-14.